Description: Digitization provided by the USF Libraries Digitization Center. Rare Maps. This is a detail map of Mosquito county circa 1834. 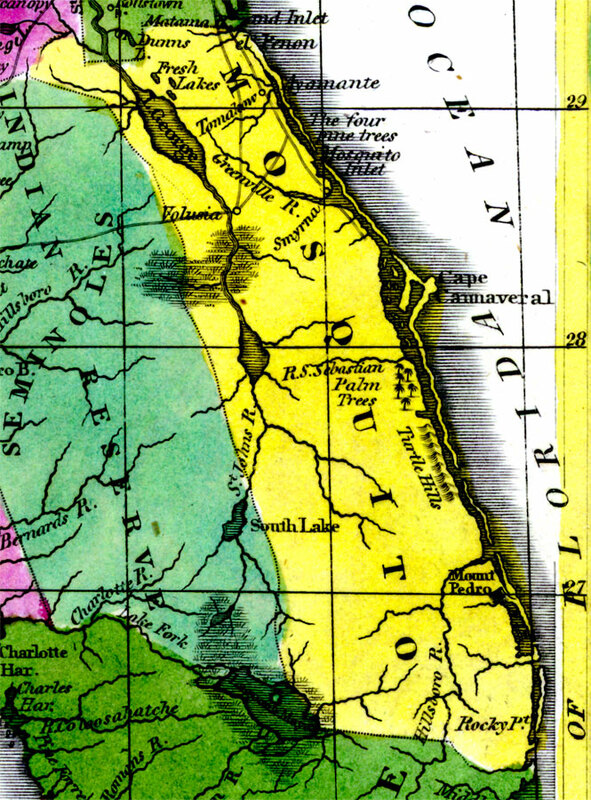 Mosquito county does not exist any longer, but it encompassed the east coast from present day Flagler county south through Broward county. It shows main towns and cities including Cape Canaveral. It also shows inland waters including Lake George.